To visit our Fear of Flying, click here. Surveys estimate that fear of flying exists in 10-20% of the population. Some persons have a fear of crashing, while others have a fear of being in an enclosed place with no means of escape. They may fear they will lose control or suffer a panic attack while on the plane. Excessive use of alcohol or sedatives, or changes in behavior prior to or during a flight. Need to drive to a customer when flying makes more sense. Communicating via telephone, fax, or e-mail when face-to-face contact is needed. Avoidance of scheduling appointments that necessitate flying. Discrepancy in job performance–e.g. below par sales–related to flying vs. driving. Refusal to accept job advancement that requires increased flying. “Off-handed” comments related to apprehension or fear of flying. If you’re one of the thousands of people who are limited by a flying phobia, virtual reality therapy might be for you. Virtual reality exposure therapy places the client in a computer generated airplane where they “experience” the various aspects of flying. The client wears a head-mounted display with small TV monitors and stereo earphones to receive both visual and auditory cues. 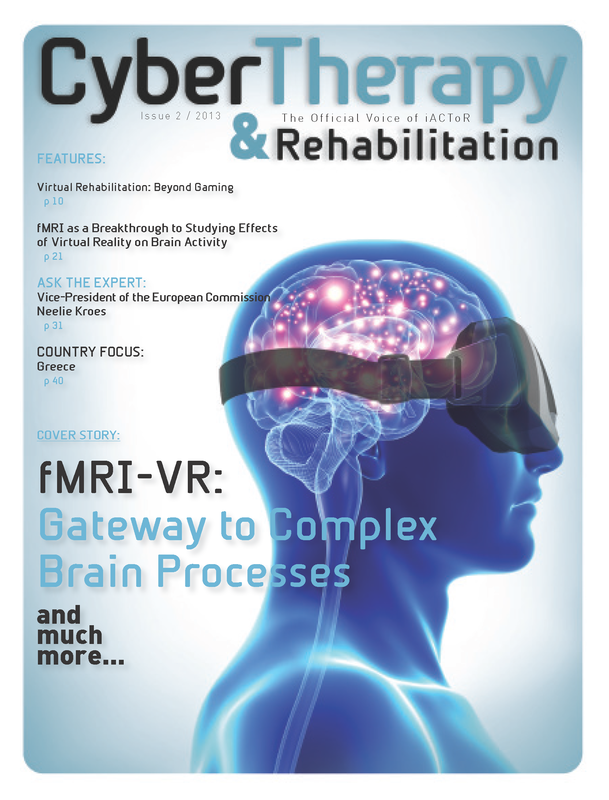 This VR world provides an opportunity to practice exposure for fear of flying with potentially greater immersion than that found in imaginal exposure, yet within the safety of a controlled environment. The flexibility of the program allows for exposure that is customized to each client’s specific needs and unique therapeutic goals. The therapist has full control of the entire procedure so he/she can repeat or skip any step anytime during the simulation. Real-time Bio-feedback provides the therapist with all of the patient’s vitals, including heart rate, respiration, skin conductance, temperature, electroencephalogram (EEG), and electrocardiogram (ECG). The optional head mount display (HMD) is equipped with a head tracker that detects the patient’s head rotations and position while navigating through the virtual world. Components of the VR Flying world include departure preparation, flight crew announcements, take off, landing, cruising, and full weather control. Full motion video of an actual flight can be viewed through the plane’s window. VRMC uses airplane seats from an actual commercial passenger airplane. The airplane seats are supported by a custom built platform with a built-in 1500 watt linear motor which reacts to audio signals sent by a 2100 watt amplifier, sending low frequency vibrations that are directly experienced by the user. Four surround sound speakers provide the patient with audio realistic from underneath as well as all around. 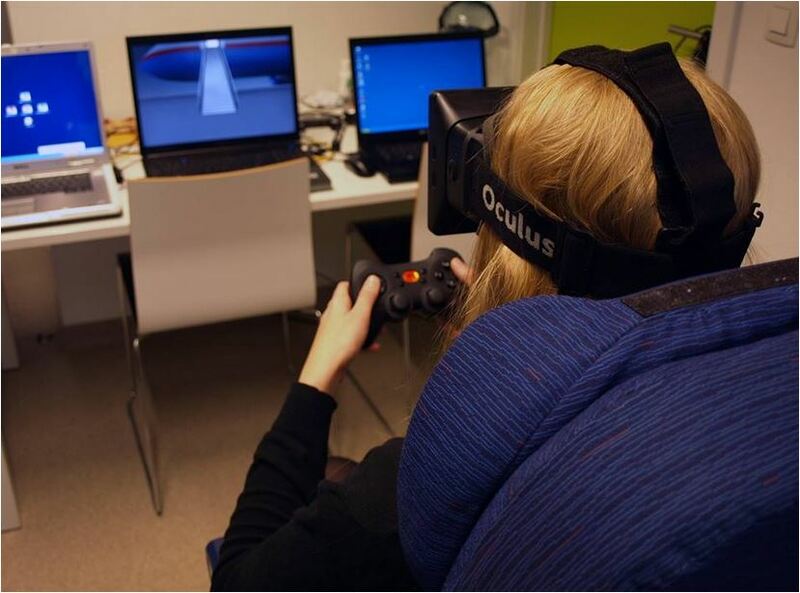 At every step, the therapist can see and hear what the client is experiencing in the virtual plane. 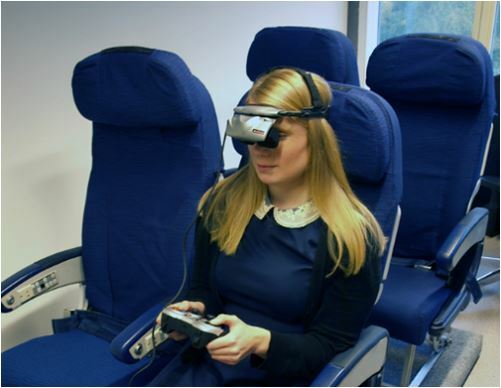 If the client’s level of anxiety becomes overwhelming, the client can return to a less stressful level of treatment, or simply remove the head-mounted display and exit the virtual aircraft. To learn more about fear of flying, see our partner website fearofflyingexpert.com.